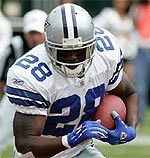 Steve Wilson, former NFL Official (#29), joined the National Football League in 1999. 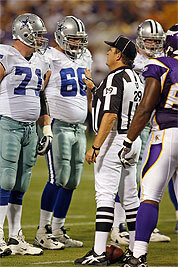 Steve has worked a number of post season assignments including the 2005 Hall of Fame Game and the 2006 Pro Bowl. 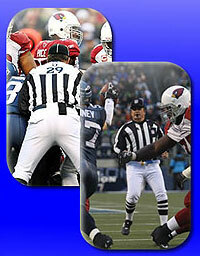 Prior to that, Steve refereed for 18 years in major college football which included the Pac-10 Conference. Steve also officiated a number of post season bowl games during that time. 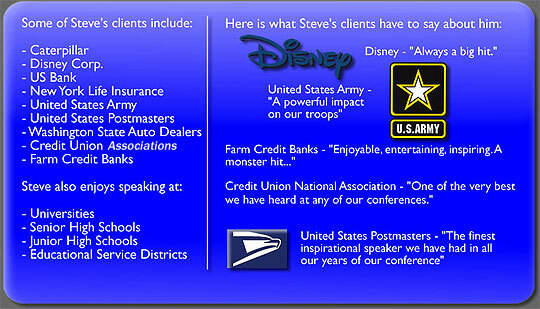 Steve is also a motivational - conference speaker and pastor. Some clients have included: Disney Corp., US Bank, United States Army, United States Postmasters, Catepillar, Credit Unions as well as universities, senior and junior high schools and educational service districts. Steve was born and raised in Spokane, Washington where he attended High School at East Valley. Steve was the captain of the football, basketball and baseball teams and was also a member of the National Honor Society. Following High School, Steve was awarded a scholarship to Whitworth College where he started all four years on the Pirate football team. During that time he was on the dean's list and majored in Journalism specializing in Public Relations. 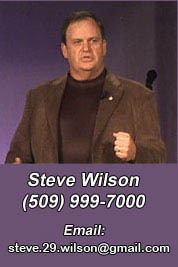 Steve is an ordained minister of the Gospel and previously served as Executive Pastor at Spokane Valley Nazarene Church. 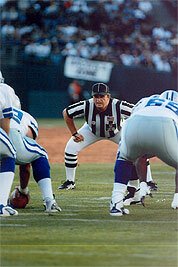 Steve refereed for 16 years in the Pac-10 conference officiating a number of post season bowl games during that time. 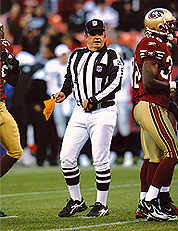 In 1999, Steve was hired on the full-time staff of the National Football League as an Umpire (#29), the position right behind the linebackers. During this time he has worked a number of post season assignments including the 2005 Hall of Fame game and the 2006 Pro Bowl.